Granada is the reason why I fell in love with Spain. In the spring of 2012, a friend and I took a 13-hour bus down there from Bilbao, on opposite end of the country. It cost about 20 euros, perfect for broke college students. I wanted to see La Alhambra, the famous 13th-century palace from Spain’s Muslim era. 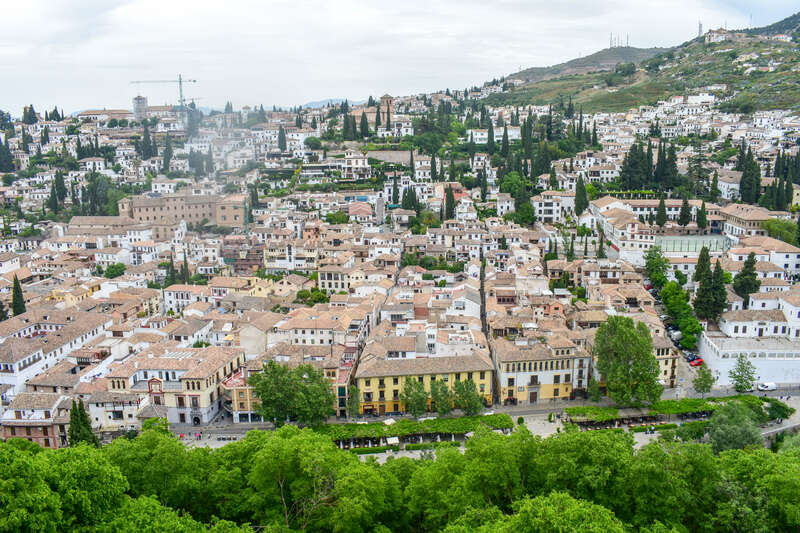 But what I discovered was a city that embodies the essence of Spain – the spirited people, rich history, warm climate, narrow streets with flower pots, traditional Flamenco shows…Granada has it all. 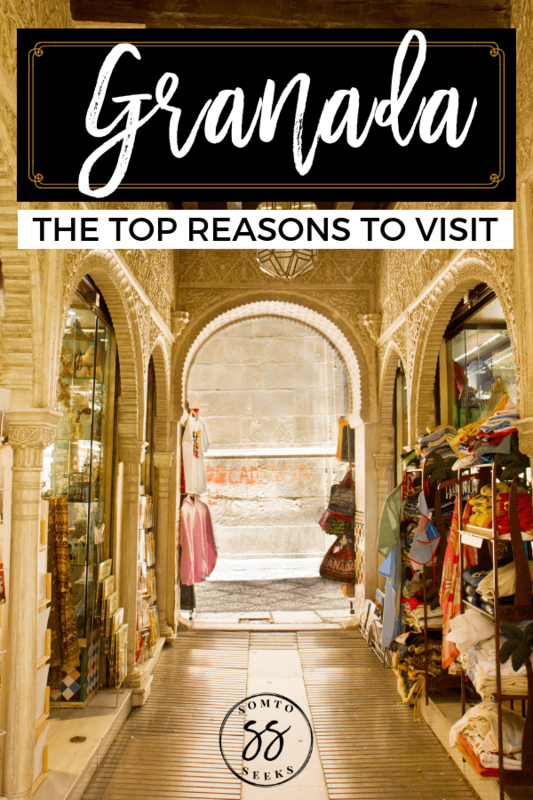 I want to show you why Granada in the best place to visit in Spain. First, what do I mean by ‘best place’ to visit? This is entirely subjective. What I like to do when I travel is probably different from yours. That said, I’m writing this post based on my experience traveling around Spain for a total of 18 months. I’ve been to cities and towns in almost every autonomous region in Spain, from Galicia to Castilla y León to the Balearic Islands. Out of everywhere, I visited, Granada was the place that completely fit the romantic idea of Spain I had in mind. Now, let me tell you what exactly makes Granada the greatest city in Spain. 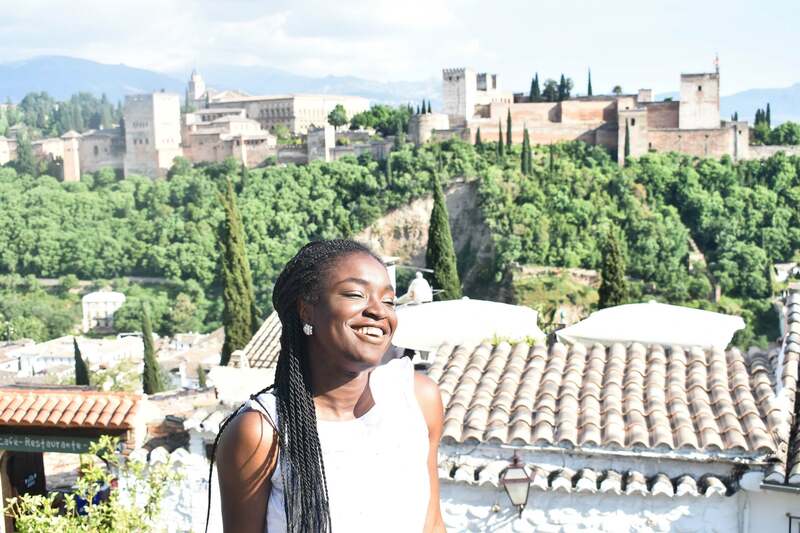 The euphoria of being in Granada! This city made me fall in love with Spain back in 2012. In the title of this post, I tell you to forget Barcelona. Why? It’s a concrete jungle brimming with tourists. This city is so commercialized, with tons of venues, shops, and restaurants catering to tourists, it doesn’t even feel like Spain! That’s why I think it’s status as the number one place to visit in Spain is so undeserved. Why go to Spain to visit a place that’s just like any other big city? I wouldn’t spend more than 3-4 days in Barcelona. Other than the Gaudí architecture and a few neighborhoods, there really isn’t much to see. The beach is a mess, and the entire place just seems kind of, what’s the word…a little pretentious? Barcelona is the least Spanish city in Spain. Even Spanish people will tell you that! Unlike Barcelona, Granada doesn’t cater to tourists, apart from historic tours. The local restaurants and shops hardly make any effort to attract visitors. It’s refreshing! In Granada, you get to experience the authentic Spanish way of life without salespeople trying to woo you to open your wallet. You can meander through the narrow streets of the Albayzin, the old Muslim quarter, and get completely lost in the moment. You can also watch spontaneous Flamenco performances at the Mirador de San Nicolas, a viewpoint overlooking La Alhambra. The people of Granada are generally warm, friendly, and lively. This city has so much soul you can’t help but feel elated! Just thinking about it makes my heart swell. 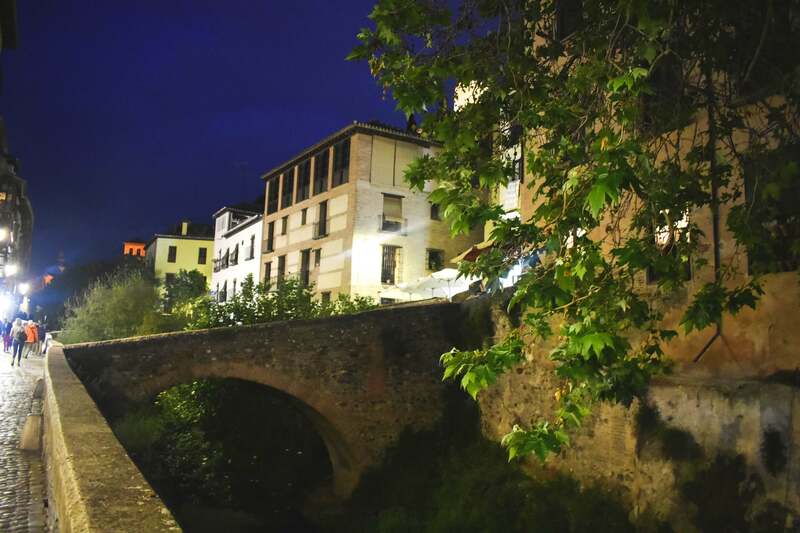 The streets of Granada are especially romantic at night! Located in the southern community of Andalucia, Granada was the epicenter of the Moorish era in Spain. In 711, the Moors of North Africa invaded Spain and ruled it for nearly 800 years. During that time, they built palaces, fortresses, mosques, and Muslim quarters. The most visible example of that is La Alhambra, the beautiful place that lured me to Alhambra in the first place. This palace snakes around the hills of Granada for miles so you can see it from virtually everywhere in the city. 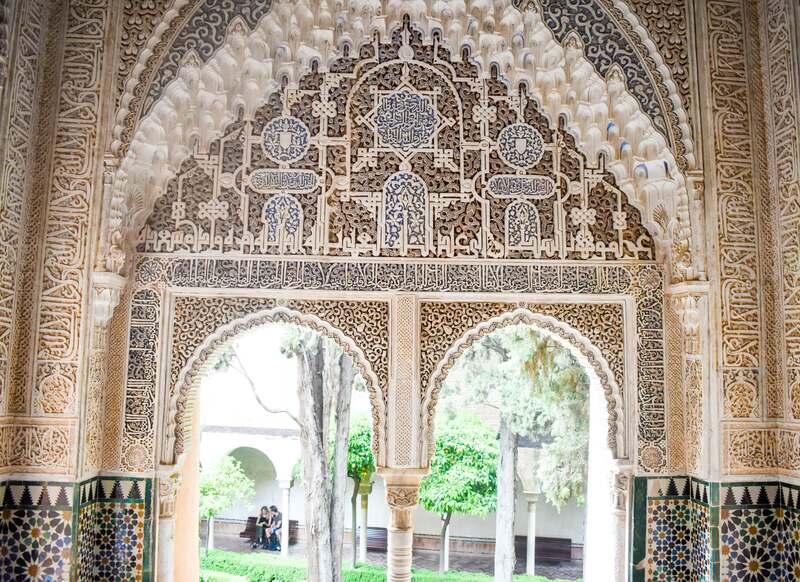 The Palace of Lions inside the Nasrid Palaces of La Alhambra is one of the most important parts of the landmark. 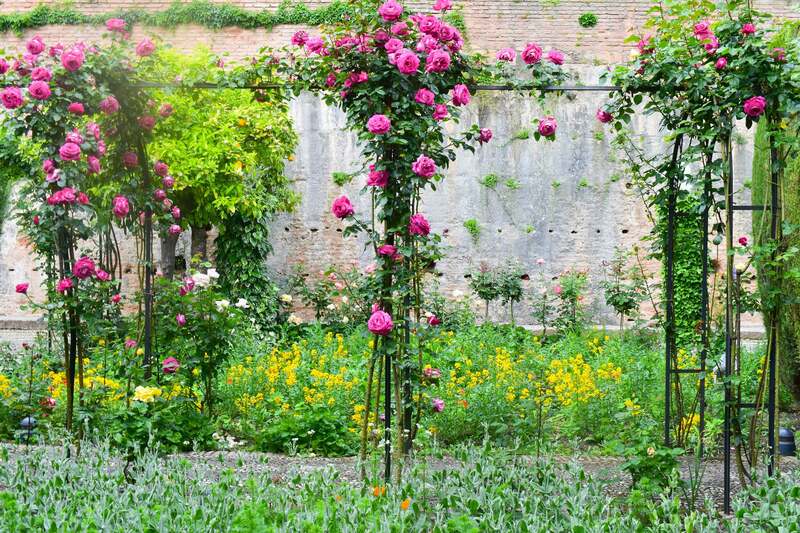 Right next to Granada is the gorgeous Generalife, a vast garden with 300 types of flowers. 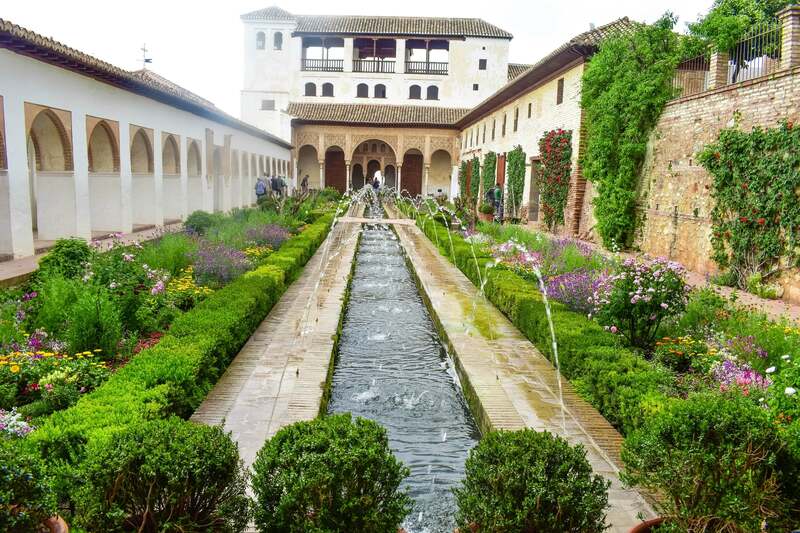 The word Generalife is derived from an Arabic phrase that means ‘garden of the paradise,’ a fitting name. I highly recommend this 3-hour tour of La Alhambra and the Generalife. It’s more expensive than a regular ticket, but having someone explain what you’re seeing and the history behind it makes a huge difference! You will leave the tour with a greater appreciation for La Alhambra than otherwise. In 1492, the Catholic Kings, Isabella and Fernando, ousted the Moors and reinstated Spanish rule along with Christianity. 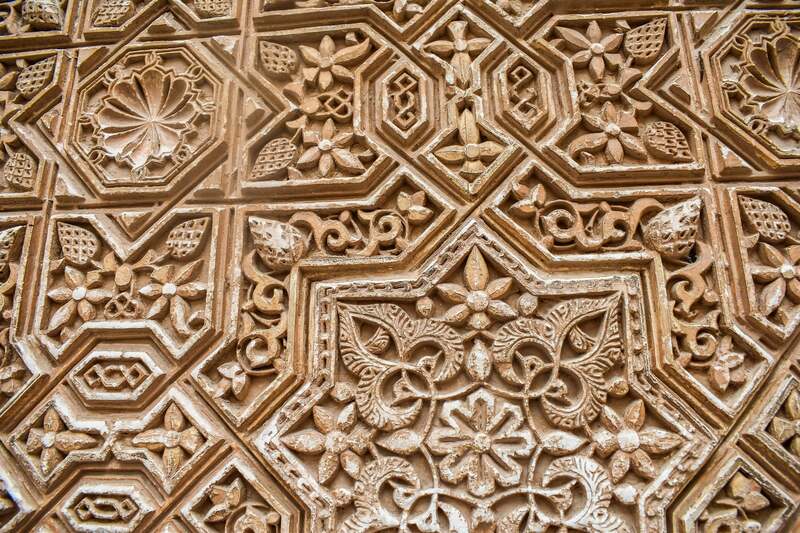 The monarchs destroyed most of the Moorish architecture but left La Alhambra because they found it impressive. Instead, they installed Christian symbols, crosses mainly, and destroyed the hammams, bathhouses. Apparently, they were worried that enslaved Moors would plot to overthrow them if left alone in the hammams. There is also a joke that Isabella destroyed the bathhouses because she never showered. Jokes aside, touring the Alhambra is like taking a journey back to the 13th century. If you love history, get ready for some serious visual and mental stimulation. 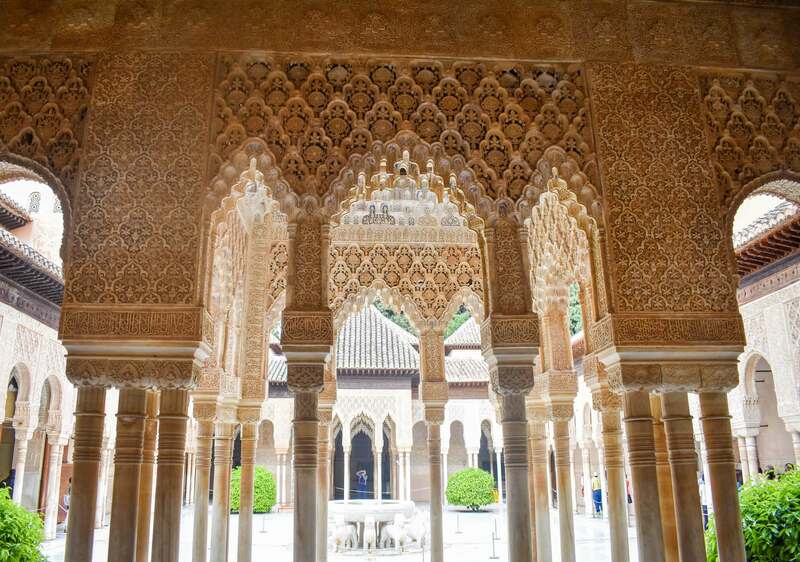 La Alhambra showcases the finesse of Moorish architecture. The details are impeccable! The concept of tapas originated in Andalucia. When you order a drink, you get a small plate to picar, or nibble on. Unless they are gourmet creations, tapas should be free. In some tapas bars, they are free and unlimited! You can find these types of bars around Spain (El Tigre in Madrid is one), but there is a high concentration of them in Granada and Andalucia. 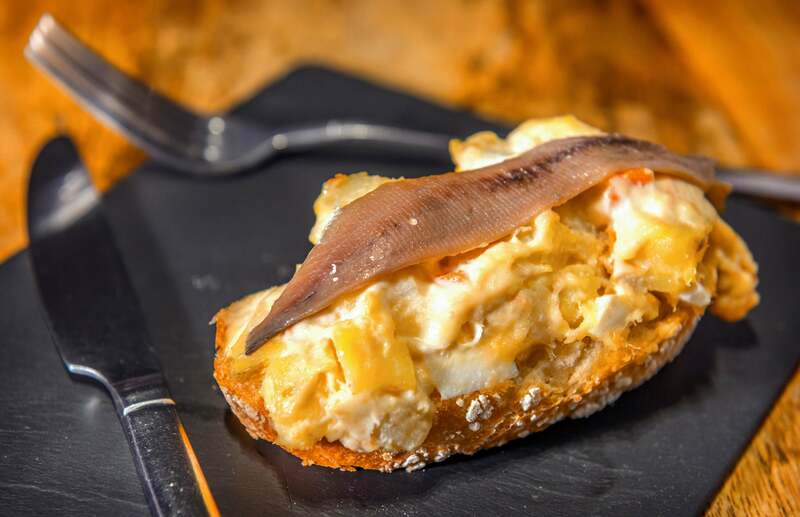 Granada is a great place to experience the true tapas tradition of Spanish. Andalucia is the birthplace of Flamenco. Because of that, you will see the most authentic performances there. I first saw a Flamenco performance in the gitano (gypsy) neighborhood of Granada, in a little cave-like room. Even six years later, I still remember the intensity of the performances. It was that awe-inspiring! 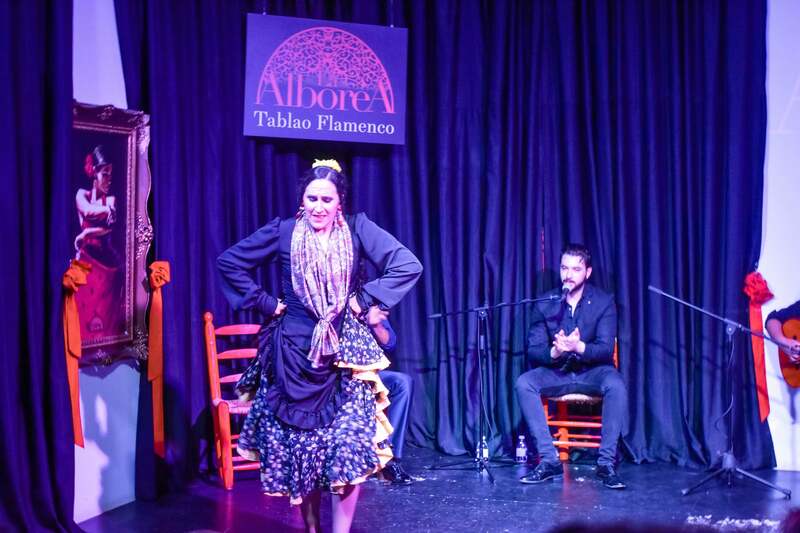 You can see a Flamenco show that is true to its Andalusian roots in any town or city in Andalucia – Granada, Sevilla, Cadiz, Jaen, to name a few. It’s not uncommon to see spontaneous performances of Flamenco in the streets. The people of Granada live and breathe Flamenco! 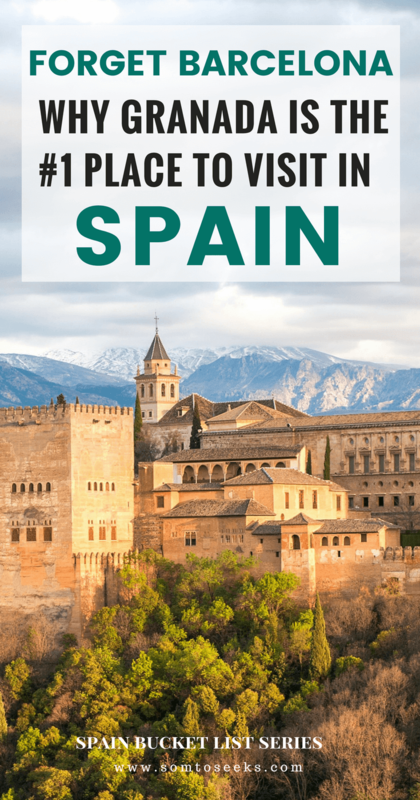 The cost of living in Spain is low in general, but Andalucia is even more affordable. I met up with a friend who pays $250/month for her apartment near the city center. It was a nice apartment too! 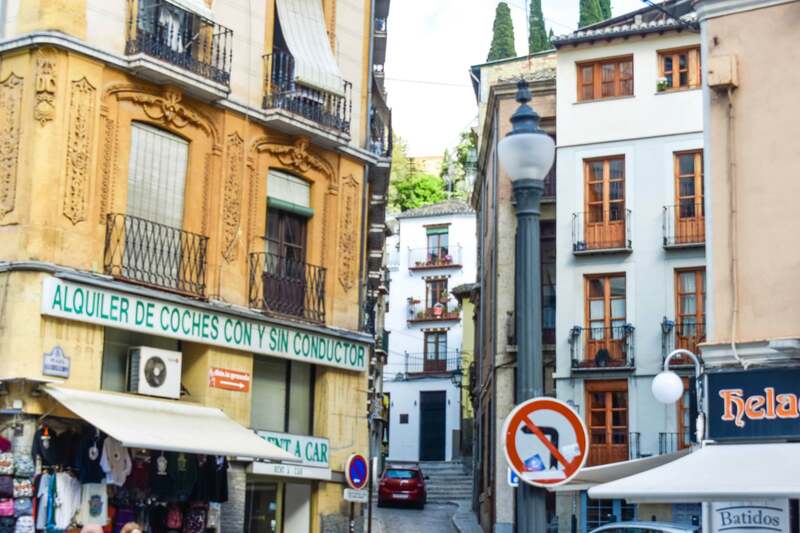 The price of transportation, accommodation, and eating out are super cheap in Granada! However, one thing that isn’t so cheap is shopping for women’s clothes – the prices are about the same as in Madrid. But, overall, your money will go further in Granada! If you want to live in Spain for a couple of months, Granada would make a great home base. 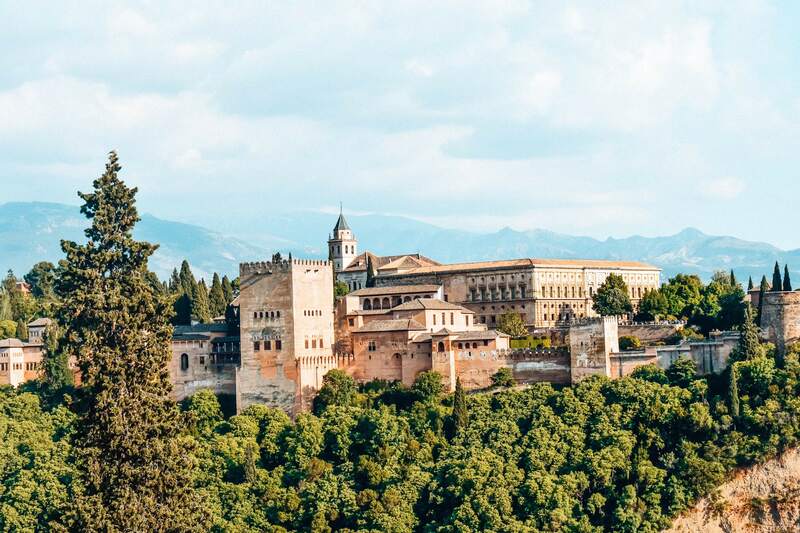 Are you convinced yet that Granada is the best city to visit in Spain? Why or why not? Comment below. Hi Somto! 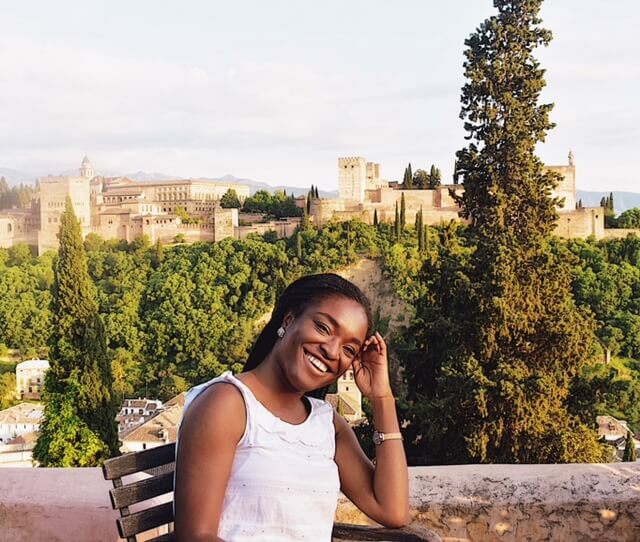 A Black sisterfriend of mine is currently studying abroad in Granada and unfortunately has not found many opportunities to be in community with other Black people. I was hoping that you could recommend some good places and events to check out that cater a bit more to the Black experience. Thank you so much for all of the time and energy you’ve invested into blog – you are greatly appreciated! I’m glad you’re enjoying my blog. My best recommendation for your friend is to join expat and study abroad groups on Facebook. These include ERASMUS groups and any Granada-specific groups for students and expats. That way, she can go to their events and meet people from around the world, including Black people. I don’t know of any specific places or communities where Black people in Granada hang out. Also, there is a difference between black immigrants from Africa and black expats from the US, UK, or Canada. Unfortunately, they normally don’t mix. I hope this helps. Wow! Am considering moving to Spain and am oh so very glad I came across your page. Granada wouldn’t have even been on my radar if it wasn’t for you. After getting excited about Granada half way thru your post i started checking out homes online and definitely see more flavor in homes there compared to other places Spain. Thank you! Am so excited to leave Houston Texas and embark on an adventure with my ohana of 5 kids ranging from 17 down to 2 years soon. Them Spanish beaches sure beat out Galveston! 😉 am originally from nocal, so hi.socal person! Wow, I’m flattered that my humble post got you to take a closer look at Granada. It’s truly an incredible place, and I think you’ll love it! Have fun on your adventure! Thanks for convincing me that I’m not missing out on Barcelona . 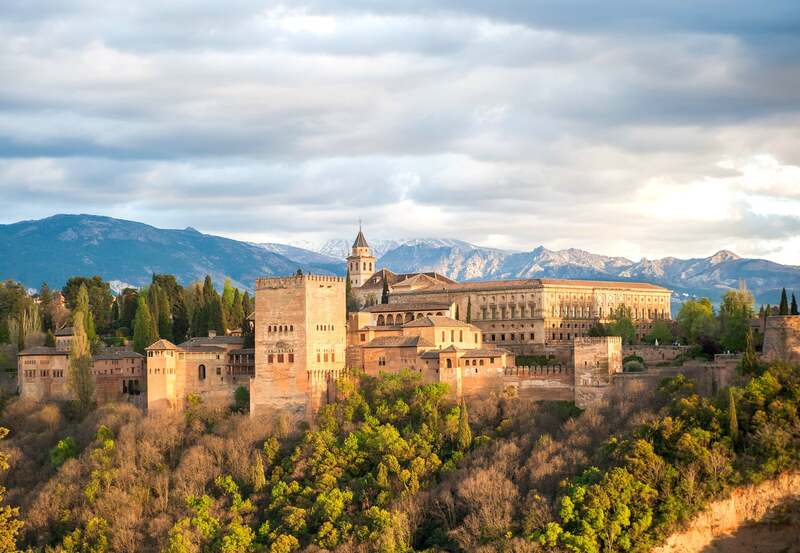 My husband and I will be traveling to Spain in May. . Granada is one of our stops. You’re welcome! Honestly, you’re better off visiting Granada than Barcelona, unless you’re dying to see the Gaudi architecture. 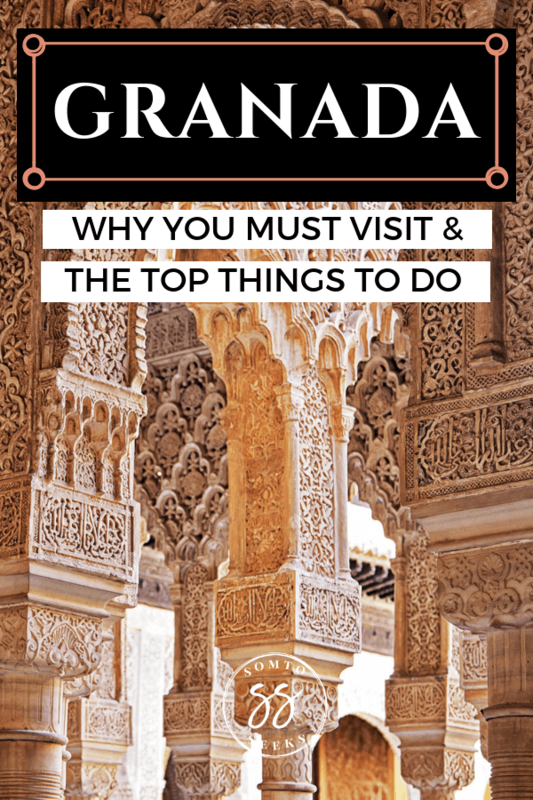 I’m sure you’ll love Granada. Haven’t met anyone who doesn’t. Enjoy Spain!